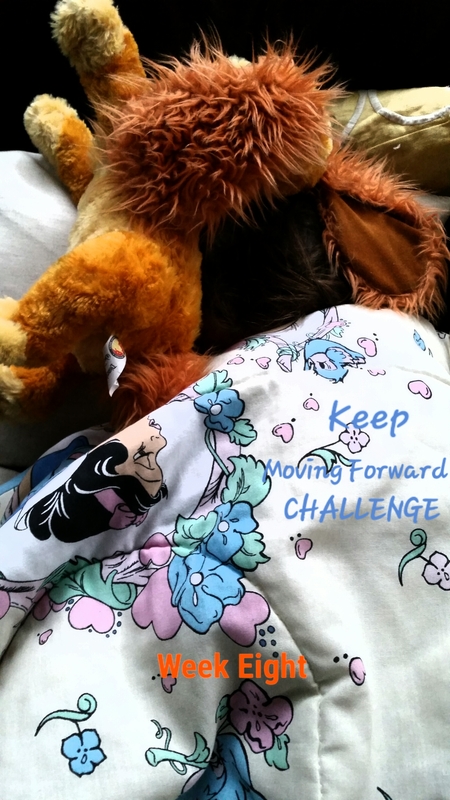 The greatest lesson I learned during week 7 of the Keep Moving Forward Challenge is that it’s okay to stop and refresh when moving along my path. It’s crucial, in fact, for the development of the mind, body, and spirit. I’ve been so focused on achieving noticeable progress that I stopped reflecting on why I chose the path in the first place. What was my goal? What was I hoping to achieve? I’ve spent a lot of energy this past week focusing on those very questions not only in reference to this challenge but in my life journey overall. My body notified me in no uncertain terms to RELAX! I got a minor reoccurrence of a GI virus and then spent two days looking after my feverish toddler-age niece. I spent a lot of time resting, trying to calm an unsettled child, and away from my normal routine of blog post writing/social media updating/resume building. I realized that slowing down a bit helped put into perspective what’s important – taking care of the body that houses the mind and the spirit. As mentioned in last week’s entry (Keep Moving Forward Challenge: Week Seven), I am in the midst of a spiritual rejuvenation. I’ve distanced myself, both physically and emotionally, from the religion of my youth and focused on examining what I believe and how I want to live my life. A recent experience reignited my displeasure with my local church and the ones who make rules that seem to go against what I always believed God intended His church to represent. I won’t elaborate too much out of respect for the people involved, as the situation is still ongoing. However, the experience reaffirmed the importance of evaluating my spiritual needs and the path on which I continue my ever-changing journey. I’m re-energized, refreshed, and rejuvenated from a week that superficially could be considered stressful, tiring, and reeking with maladies. Upon closer introspection, I understand that taking the time to stop, reflect, and redirect my focus keeps me moving forward in ways that aren’t necessarily noticeable. « Writing Prompt Wednesday: Snow, man! It’s always tough to do but sometimes we have to stop, briefly and recharge our bodies so we can move forward more mindfully. You’re right, Doreen. It’s not always easy, but is sometimes necessary.